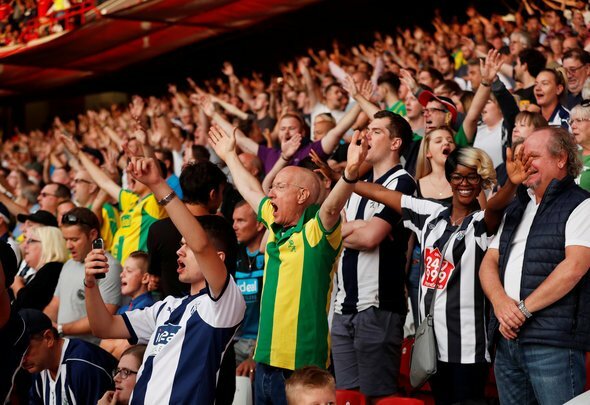 West Brom could “potentially” get a major boost in their bid to win automatic promotion this season, according to Express & Star journalist Matt Wilson. The reporter was asked on Twitter whether there is any substance to claims that all points involving Bolton this season could be struck from the records if the Lancashire club was to be liquidated. Although it would be an “extreme situation”, it is understood that it is something that could benefit West Brom, as it would mean all of the top three would lose six points, but the Baggies would lose just three. West Brom are currently seven points shy of the automatic promotion spots, but if this was to happen, they would move to within four points. As Wilson says, it would be a massive shock if this was to actually happen, so West Brom fans should not get their hopes up. It’s not like the fans should be getting their hopes up anyway. Bolton supporters have been going through a torrid time lately and the last thing they will need is people getting ready to dance on their grave if they were to liquidate. Hopefully most Albion supporters would be sympathetic towards those at Bolton and wish that they are able to find a resolution to all these issues. At the end of the day, West Brom do not deserve to be close to the automatic promotion spots. They have dropped points in too many games they should have won this term and that is one of the major reasons why Darren Moore was sacked. Mark Jenkins need to pull his finger out and find a successor for Moore soon because it’s quickly becoming a joke due to how long this process is taking.